1. Don’t place beverages on your office copy machine. Many copier machines employ sensitive scanning devices. Accidental beverage spills can result in expensive repair bills. 2. Clean the glass periodically following manufacturer instructions. If smudges and streaks cover the surface of the glass, the machine won’t produce high quality photocopies. 3. Use only recommended supplies. 4. Turn off the copier sometimes. Experts recommend shutting down an office copier machine during periods of extended inactivity. If no one uses the machine on weekends or during holidays, turning off the power supply conserves electricity and extends the machine’s useful lifespan. 5. Allow the copier to “warm up” prior to making copies. Many copier machines require a few minutes to reach an operational temperature. 6. Adhere to manufacturer paper loading and troubleshooting instructions. Manufacturers specify steps to take to checkpaper loading paths and to troubleshoot problems. Adhering to these directions closely helps avoid damage to the equipment. 7. Replace ink cartridges regularly. If the copier runs out of ink, it may need to insert a replacement ink cartridge. Some older machines may require operators to empty waste toner compartments regularly, too. 8. Turn off the copier prior to performing cleaning. To safeguard your employees from electrical shocks, ask them to turn off the copier machine before performing cleaning. 9. Remove staples and paper clips before performing scanning. Failing to remove staples and paper clips prior to copying sometimes causes damage to the machine’s glass surfaces. Remove these metal items prior to scanning documents. 10. Request regular maintenance services. Finally, perhaps the most important operating tip involves obtaining periodic qualified maintenance services. Your repair technician can inspect the copier and alert you to any developing problems. 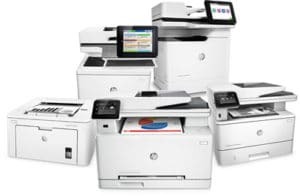 Just like other types of office equipment, a photocopier will eventually require the replacement or repair of some components!